OMG!! This is beautiful!! If I did not notice the basket handle I would think this is a big garden ^_^ Love it! Happy Sunday and thanks for the visit. Adorable! 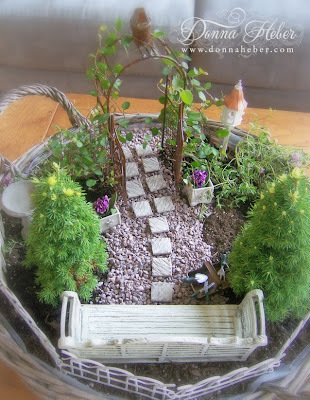 I love this idea, and your mini garden is fabulous. I can see why you were asked to write for the magazine! 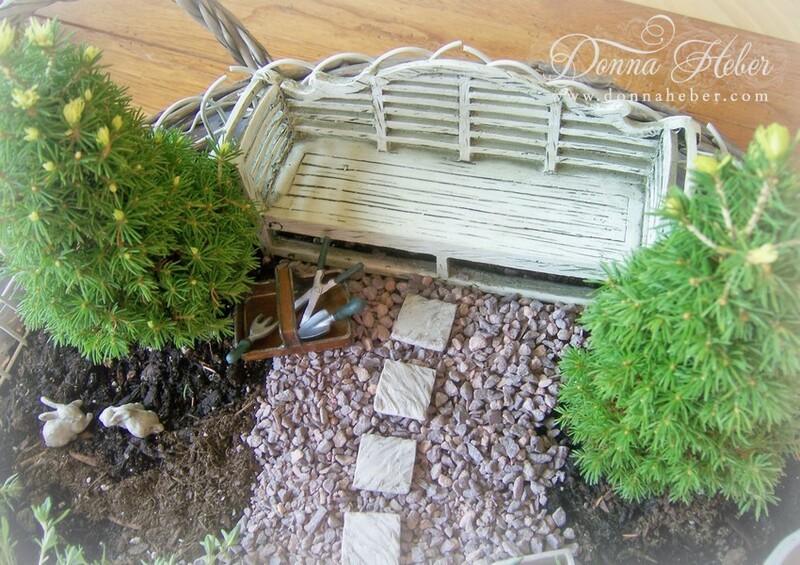 Gorgeous mini garden Donna! I love all the detail. Congratulation on the artical! It was informative. I plan to give one a try. Congrats again! Donna, you are so creative.. I just love this miniature garden..And congratulations..
Oh my goodness!!! I love your beautiful blog. You are amazing. So glad I found you at Sunday Blog Love. oo wow Donna that is gorgeous. that have you done beautifully. great design and so sweet, and congratulations to write in the magazine. Congrats!!! Wow, your mini garden is fabulous!!!! Congratulations on being asked to write for them! The miniature garden is adorable- you have a nice touch! 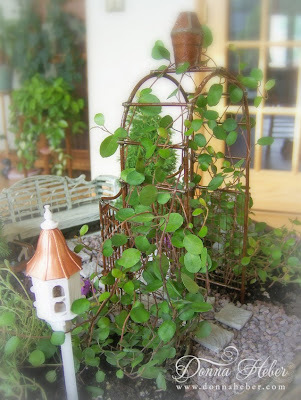 I love miniature gardens - they are real fairy creations! Congratulations on being asked to write the article! Congrats and how exciting! Your indoor garden is beyond spectacular and adorable! Congratulations on your new writing gig, Donna--that is wonderful. Your miniature garden is so detailed--a real delight! Donna! I just LOVE this! What a wonderful idea - I am going to download your article and study it to see how I might tweak it for a homeschool project with my students!! I reminds me of a more upscale diorama project - or the kind of three dimensional models of a theatrical set made by set designers. So many wonderful ideas here - I'll be following your inspiring excursions into good things and beauty! congraulations on your wonderful news Donna !!! I have never created a miniature garden, but this has given me some inspiration to give it a try, so I'm going to be reading your article this weekend !! Have a great one.